At Bennett Potatoes, we collect and process information about individuals (i.e. ‘personal data’) for business purposes, including employment and HR administration, provision of our services, marketing, and business administration. This includes personal data relating to our staff, customers, suppliers and other third parties. Compliance with data protection law is essential to ensure that personal data remains safe, our business operations are secure and the rights of individuals are respected. Bennett Potatoes is a controller under data protection law, meaning it decides how and why it uses personal data. This Policy explains our procedures for complying with data protection law in relation to personal data. It also sets out your obligations whenever you are processing any personal data in the course of your employment. If you routinely handle individuals’ personal data, you will be given specific instructions regarding data protection procedures in relation to your particular role / department. These instructions will supplement your obligations as set out in this Policy. There will also be other policies which will impact on how you deal with personal data and data protection. The main ones are our Electronic Information and Communications Systems Policy, and we expect you to comply with these where relevant. This Policy applies to all Bennett Potatoes employees, workers, [contractors, agency workers, consultants, and directors], (together referred to as ‘Employees’ or ‘you’). Who is responsible for data protection at Bennett Potatoes? The Directors are ultimately responsible for Bennett Potatoes compliance with applicable data protection law. 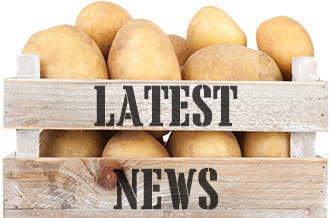 Bennett Potatoes has appointed a Data Protection Lead who is responsible for overseeing and advising Bennett Potatoes on and administering compliance with this Policy and data protection law. All Employees at Bennett Potatoes have some responsibility for ensuring that personal data is kept secure and processed in a lawful manner although certain Employees will have particular responsibilities, of which they will be aware and in respect of which they may receive specific instructions. Data protection law in the UK is regulated and enforced by the Information Commissioner’s Office (ICO). Failure to comply with data protection law may expose Bennett Potatoes and, in some cases, individual Employees to serious legal liabilities. These can include criminal offences and fines of up to EUR20 million (approximately £18 million) or 4% of total worldwide annual turnover, whichever is higher. In addition, an individual may seek damages from us in the courts if we breach their rights under data protection law. Breaches of data protection law can also lead to serious damage to our brand and reputation. Bennett Potatoes is responsible for and must be able to demonstrate compliance with data protection law. To ensure that Bennett Potatoes meets its responsibilities, it is essential that its Employees comply with data protection law and any other Bennett Potatoes policies, guidelines or instructions relating to personal data when processing personal data in the course of their employment. We have set out below the key obligations under data protection law and details of how Bennett Potatoes expects Employees to comply with these requirements. Where consent is relied upon, it must be freely given, specific, informed and unambiguous, and Bennett Potatoes must effectively demonstrate that consent has been given. In line with ICO guidance regarding the Employer/Employee relationship, Bennett Potatoes does not use consent as a legal ground for processing Employee data unless the data processing activities concerned are genuinely optional. We usually provide individuals with basic information about how we use their data on forms which collect data (such as application forms or website forms), and in longer privacy notices setting out details including: the types of personal data that we hold about them, how we use it, our legal grounds for processing the information, who we might share it with and how long we keep it for. For example, we provide information about our processing of Employees’ personal data in the Bennett Potatoes Employee Privacy Notice. By processing personal data only in accordance with your lawful job duties and Bennett Potatoes instructions, ordinarily, you will be processing personal data fairly and lawfully. If you have any concerns about the legal grounds for processing personal data or if you are unsure whether individuals have been provided with appropriate information (in particular in relation to any new processing activities), please check with the Data Protection Lead. if you are relying on consent as a legal ground for processing, you obtain advance approval of any consent wording from the Data Protection Lead. 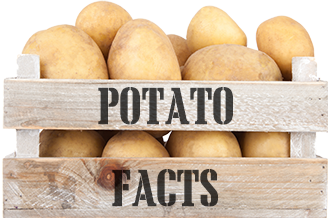 If you are routinely handling special category data as part of the requirements of your role and job duties, Bennett Potatoes will ordinarily have put in place procedures which ensure that your processing activities satisfy the requirements above. However, if alternative circumstances apply (e.g. you are involved in a new project or updating an existing system which involves new types of processing of special category data), please contact the Data Protection Lead to ensure that the correct compliance procedures are followed. Bennett Potatoes will only process personal data in accordance with our legitimate purposes to carry out our business operations and to administer employment and other business relationships. You must only use the personal data that you process in the course of your duties for Bennett Potatoes legitimate and authorised purposes. You must not process personal data for any purposes which are unrelated to your job duties. If you find that you need to process personal data for a different purpose from that for which it was originally collected, you must check whether the individuals have been informed and, if not, consider whether the additional purpose is legitimate (in the context of Bennett Potatoes’ business activities) and compatible with the original purpose. Data protection law requires us to ensure that, when we process personal data, it is adequate, relevant to our purposes and limited to what is necessary for those purposes. We will ask for the information we need for our legitimate business purposes, but we won’t ask for more information than we need in order to carry out our business operations. You should try to ensure that you only acquire and process the personal data that you actually need for Bennett Potatoes’ legitimate and authorised purposes within the scope of your role. You must also comply with Bennett Potatoes’ instructions about data retention and storage, ensuring that personal data is only kept for as long as it is needed for any intended purpose. Bennett Potatoes must take steps to ensure that personal data is accurate and (where necessary) kept up-to-date. Records containing personal data should only be kept for as long as they are needed for the identified purposes. Bennett Potatoes has in place data retention, storage and deletion policies and internal processes/guidelines regarding various types of company records and information that contain personal data. Keeping personal data safe and complying with Bennett Potatoes’ security procedures to protect the confidentiality, integrity, availability and resilience of personal data is a key responsibility for Bennett Potatoes and its workforce. Asset register of all IT equipment & users associated. Bennett Potatoes ensures that personal data is only shared internally on a ‘need to know’ basis. We will only share personal data with other third parties where we have a legitimate purpose, and an appropriate legal ground under data protection law which permits us to do so. Commonly, this could include situations where we are legally obliged to provide the information (e.g. to HMRC for tax purposes) or where necessary to perform our contractual duties to individuals (e.g. provision of information to our occupational pension providers). Bennett Potatoes takes any data protection breaches very seriously. These can include lost or mislaid equipment or data, use of inaccurate or excessive data, failure to address an individual’s rights, accidental sending of data to the wrong person, unauthorised access to, use of or disclosure of data, deliberate attacks on Bennett Potatoes’ systems or theft of records, and any equivalent breaches by Bennett Potatoes’ service providers. Where there has been a breach of security leading to the accidental or unlawful destruction, loss, alteration, unauthorised disclosure of or access to individuals’ personal data, Bennett Potatoes will take immediate steps to identify, assess and address it, including containing the risks, remedying the breach, and notifying appropriate parties (see below). If Bennett Potatoes discovers that there has been a personal data security breach that poses a risk to the rights and freedoms of individuals, we will report it to the ICO within 72 hours of discovery.  If you become aware of any breach (or suspected breach) of this Policy (including, in particular any security breach), you must report it to the Data Protection Lead immediately to ensure that the breach is effectively assessed and addressed, and that we comply with Bennett Potatoes data breach reporting obligations. If you are involved in the design or implementation of a new project that involves processing personal data, you must check whether it is necessary to conduct a DPIA or similar risk or compliance assessment by contacting the Data Protection Lead. They will also be able to advise you on how we expect you to conduct, or otherwise contribute to, a DPIA or similar risk assessment. If you receive a request from an individual seeking to exercise a right in relation to their personal data, or making an enquiry or complaint about our use of their personal data, you must forward the request, enquiry or complaint to the Data Protection Lead immediately so that it can be dealt with appropriately and within the applicable time limit as outlined in the Bennett Potatoes’ Employee Handbook. Your assistance may be needed to address and respond to the request, enquiry or complaint. In order to comply, and demonstrate our compliance, with data protection law, Bennett Potatoes keeps various records of our data processing activities. These include a Record of Processing which must contain, as a minimum: the purposes of processing; categories of data subjects and personal data; categories of recipients of disclosures of data; information about international data transfers; envisaged retention periods; general descriptions of security measures applied; and certain additional details for special category data. If you are processing individuals’ personal data in the course of your employment and you collect any new types of personal data or undertake any new types of processing activities, either through the introduction of new systems or technology or by amending existing ones, please inform the [Data Protection Lead/Data Protection Officer/Data Protection Team] so that we are able to keep our records up-to-date. We require Employees to undergo some basic instruction to enable them to comply with data protection law and this policy. Additional instruction / training may be required for specific roles and activities involving the use of personal data. 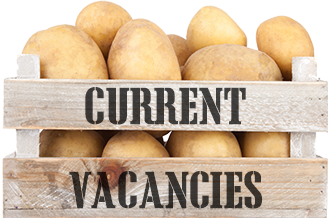 To this end, we provide instructions as part of our induction process for new joiners to Bennett Potatoes and operate an ongoing instruction programme to make sure that Employees’ knowledge and understanding of what is necessary for compliance in the context of their role is up-to-date. If you think you should be able to depart from this Policy in any circumstances, you must contact the Data Protection Lead before taking any action. _utma, _utmb, _utmc, _utmz We use Google Analytics to monitor traffic levels, search queries and visits to this website. Google Analytics stores IP address anonymously on its servers in the US, and neither Bennett Potatoes or Google associate your IP address with any personally identifiable information. These cookies enable Google to determine whether you are a return visitor to the site, and to track the pages that you visit during your session.